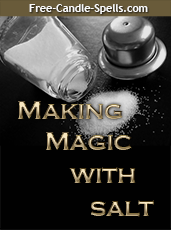 Part one of a three part series regarding timing on candle burning spell work. – J. Timing is important when considering candle spell work. Some believe that when you encounter an issue or situation that lighting a candle at that time to work on that situation is ideal. That is a belief that is adopted by many. Others like to consider times of day, position of the Moon cycle and even hour of day to light a candle. None of these are wrong, because the inherent basic intent is that a candle is lit as a perpetual prayer, incantation or wish for a certain outcome. There are three main primary considerations for candle burning success: Day of the Week, Hour of the Day and Moon cycle. You are free to consider one or all of them, or none of them at all, in accordance to your comfort level, experience, and history. SUNDAY – Ruled by the Sun, light candles for success, achievement of goals, blessings, and purifying of the Soul. Candles set during the days and hours of the Sun will enhance the powers of vitality and are traditionally held to bring success, fast luck, new money and instant actions. The influence of the power of the Sun is beneficial for all matters regarding job advancement or promotions of all kinds, influence in business and politics, attention to subject and influence, and reviews and accolades of success for works accomplished. MONDAY – Ruled by the Moon, light candles to calm and to promote peace, for petitions for conception and fertility, to heal any emotional conflicts. Using the powers of the Moon, candles lit for safety and security, matters of the home and family, children and matters regarding women, and to hypnotize or create an illusion are more successful than other times of the day or week. Lighting candles to weaken and diminish are traditionally held more effective during the days and hours of the Moon. TUESDAY – Ruled by Mars, candles lit during this day and times ruled by Mars are consider to be effective for attacking and defense to protect oneself and the power of this day will incite aggression, bravery, courage and determination. This is considered the best day to burn candles to guard against the “Evil Eye” and spiritual attacks sent by enemies as Mars is a protector and holds to planetary power to conquer and win without a care for “right” or “wrong”. WEDNESDAY – Ruled by Mercury, the influences of this planetary day and hour is manipulation and communication. Lighting candles for influence in regards of teamwork, advancement of projects, enhancement of skills, diplomacy, counseling and change are beneficial. Using the hours and day of Mercury is traditionally held as successful for bringing quick changes and alternative points of view. Lighting candles to seek forgiveness and eloquence in speech when seeking to make amends for offenses as well as keeping the peace with relations when they must see the error of their ways is successful more on this day and the hours of Mercury than any other time. Many light Reversible and Road Opener candles on this day as they appear to be more successful on this day. THURSDAY – Ruled by Jupiter, lighting candles for expansion in all enterprises is favorable during the day and the hours ruled by this planet. The influence of social ability and advancement of opportunity, group enterprise, along with family and civic duties are traditionally held as more successful during this time. Lighting candles for more money into the home for the care and upkeep of the dwelling and the family that resides within, and protection of the home are beneficial now. The successful lighting of blue candles to heal family disagreements and arguments are considered on this day. FRIDAY – Ruled by Venus, candles lit for boosting and enhancing love by those who have already met and are in a dating or a more deeper relationship and if both parties are equally committed are traditionally consider more effective on the day and in the hours of Venus than other times. Venus enhances spells for money, love, beauty and sexual union. Lighting candles for success in the performance arts such as acting, music and dance are favored. SATURDAY – Ruled by Saturn, the influence of this day and hours is restriction and limitations. Lighting candles to diminish, thwart, “slow down”, constriction, and reduce influences and power are more successful during this day and the hours of Saturn. It is traditionally held that burning candles to aid in finding lost items and to have secrets revealed to you or enhancement to the studies of hidden and ancient knowledge is good a this time. Lighting “Pay Me” candles to influence someone to pay you what they owe you and for debt collections during Saturn hours. It is also believed that lighting candle to “cross” or “curse” someone has a higher rate of success on Saturdays. 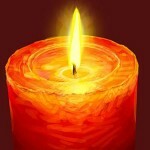 Next, beneficial hours of each day for candle burning success – J.